Hey Folks, I added a new page to my website. Take a picture of my book at your store or your favorite store. (Just remember, it’s ok to turn the cover out for the picture and then forget to turn it back*) A few of you have already sent me pictures where they sat in my phone/email box until I accidently deleted them. Why not put ’em online? 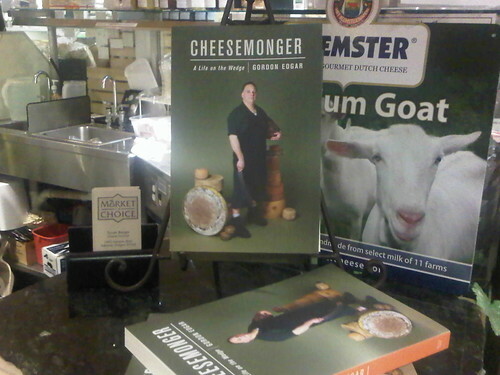 Pictures of Cheesemonger at stores! *Haha! Bookstore owners, I am kidding! This entry was posted in Uncategorized and tagged bookstores, pictures, self-promotion. Bookmark the permalink.